But the part of me whom re coded several sys calls to understand how it works is craving to know what’s under the templates' system in RoR, so let’s dive in ! But first of all, a warning. I’m not here to talk to you about how to use template rendering in rails, many great articles have been written on the subject already and the documentation is super explicit so if that is the reason you are here, I’d suggest you have a look here or here. How to trigger template rendering process ? Actually there are many fun ways to trigger template rendering in Rails, but we will stick to controller here. 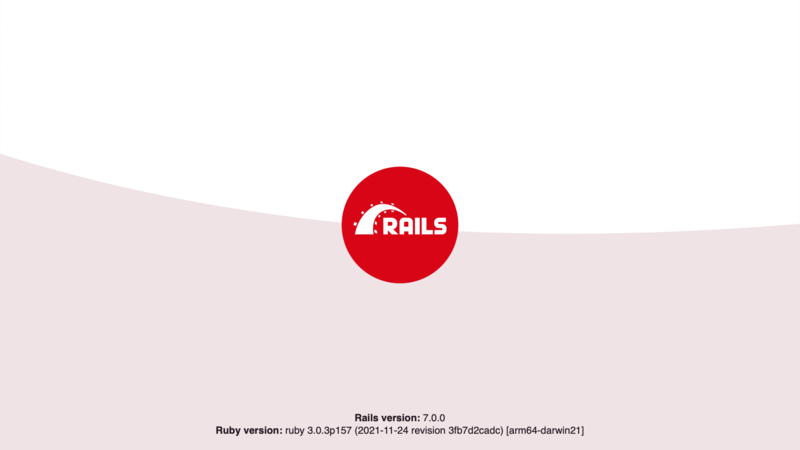 The very first thing you ever try, when you first launch a server on a rails new my_project_name brand-new project, is in the welcome controller provided by rails. Please note the layout: false, we’ll get back to that later. As we can see the index method is empty and the rendering of /rails/templates/rails/welcome/index.html.erb is processed automatically. In this update method, we have an explicit call to the render method which is actually an ActionView helper. If object update fails with given params, we want the user to be able to change theses params right away. So we ask Rails to render the edit view instead of the update view it would have rendered otherwise as we are in an update method. head method is used to send specific headers only responses to the browser. Here the :bad_request symbol represents the 400 HTTP code. This usage is not suitable for production. As this is not using the template rendering process we won't discuss head further here. 4 - Hey, there was a redirect_to in example 2 ! redirect_to is a method that sets the response by default to 302 HTTP code and adds default instructions to tell browsers which request to build next. As for render there is a large list of options you can provide, read the docs ! Once this instruction is sent to the browser, nothing will happen until the server receives the new request built by the browser. At this point, the process of handling request will restart from the beginning and even if there is a new redirect_to in your way you will fatally end up encountering a head method, an implicit or an explicit render method at some point... or a 310 status code if you don't! Just keep in mind that redirect_to is setting the response, not triggering it, the code written after a redirect_to will still be executed until the function returns. As seen previously, if we want to serve our own html.erb files, we have to use render explicitly or not. At the very beginning it comes from the Rendering helper required in ActionController::Base. This way whenActionController::Base#render is called, it is actually the method located in ActionView::Helpers::RenderingHelper. Please have a look at the source code. From this point, there are a lot of things going on, so let's check on the steps! From this render method code will decide if it must continue processing for a partial or for a template. We will here focus on templates. But no matter if it is a template or a partial, there is always a call to a view_renderer objects method. This is step 2. Here is the render method of the Renderer class. From the precedent function, we arrive directly to the render_template method line 43, but we can also pass through the render method wich will just determine wich method should be used, render_template or render_partial. Also you can see in TemplateRenderer.new(@lookup_context).render(context, options) the use of the @lookup_context instance variable. Thats our next point. @lookup_context as commented in the source code "is the object responsible for holding all information required for looking up templates, i.e. view paths and details", and is a very complete object so take a deep breath and let's dive step by step into it by following the progression in the render method of the TemplateRenderer . First of all, the TemplateRenderer as well as the PartialRenderer inherits from the AbstractRenderer and can access its methods. In TemplateRenderer#render, @view is the context variable given in the args when we called the render method previously. @details uses extract_details method from ActionView::AbstractRenderer accessible by inheritance. Template is obtained by passing options to determine_template, a private method in this controller. It's the first real encounter with @lookup_context. We can see in the source code of the class that registred_details is a module accessor . The extract_details method iterates on @lookup_context.registered_details and creates a hash of arrays filled with matching keys between options and the registred_details keys. Wanna put your hands on ? Just open a $ rails consoleand type in $ ActionView::LookupContext.registered_details to see the default values. You can also play around with $ ActionView::LookupContext.fallbacks. At this point we dont have any template key in our options hash, we will pass in the else condition and use LookupContext#find_template which is actually an alias of LookupContext#find. find just delegates to @view_path.find where @view_path.find == PathSet#Find. find_all is where Rails looks for the files using Resolver#find_all in a loop. Resolver#find_all actually calls PathResolver#find_templates, where PathResolver#query is called and a new Path instance is built with path = Path.build(name, prefix, partial). But you already understood a lot today (you can be poud of yourself already!) on how the templating works in RubyOnRails so take a break and come back next time for the next parts.